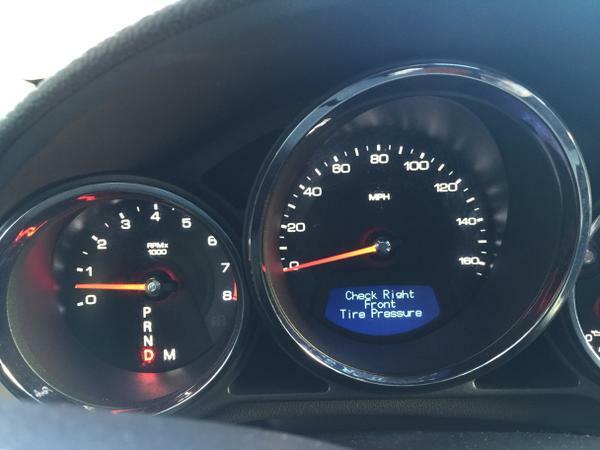 Most cars built in the past 5 to 10 years have pressure sensors on the tires and when the tire pressure drops below the recommended level, a warning of low pressure will show up on the dashboard in some form. In one of our vehicles, just a generic “low pressure symbol” will light up, but on my wife’s car, it is much more sophisticated by informing you which particular tire has lower than needed pressure and will even give you the current pressure of that tire. Our other vehicle with this pressure feature has no indication which tire is the problem, or if all the tires are in need of more air. During the autumn and early winter season in particular, cars with this feature will almost always display a warning that the pressure in a tire or tires is below the recommended level. The air in the tire being a gas of course, expands and contracts with the temperature. When the colder temperature hits in the autumn, the pressure in turn falls in the tire. I have always been taught that in a car tire the pressure will drop approximately 2% per 10 degrees Fahrenheit. The tires in the vehicles I own all have a recommended pressure of 32 to 35 psi (pounds per square inch). A temperature drop of 10° with that pressure as a base would mean approximately 0.7 psi pressure loss/gain per 10 degrees of temperature change. The picture above is from a vehicle that had originally had a pressure reading of 34 psi before this recent cold snap when the temperature in late October dropped from near 70 to a temperature near 0° this morning. The internal sensor was reporting the tires at pressures ranging from 27 to 29 psi, for a loss of 6 psi on average for the tires. I will emphasize that all those numbers were taken from the dashboard computer and not measured directly, yet at 2% loss per 10 degrees F, the expected loss would be around 5 psi, which closely fits what you would expected with that temperature change and probably some other small loss as air was not placed in the tires since they were purchased new this past summer. Driving with pressure 5 or 6 psi below recommendation not only affects tire life and wear on the treads and lowers your miles per gallon used, but it also impacts the handling of the car (or truck). Therefore, it is very important to keep your tires at manufacturer’s specifications. You also need to fill your tires when “cold”. The best time is in the morning after the tires have been unused for several hours. This is true in any season. The fiction of use will naturally warm the tires, meaning the correct time to inflate a tire is when they are back to the ambient temperature. The examples given were from my wife’s car that I drove to put some gas in it this morning, so not only did I need to put gas in the tank, but also to put air in the tires. Not all vehicles have pressure sensors (my truck does not for instance), so it is important to periodically check the pressure (cold) in your tires to maintain safety, longer tire life and simply get higher gas mileage by maintaining the proper tire pressure in your vehicle(s).